Those guys have been at it again. You know, the ones who say they want ethics in games journalism but actually spend their time shouting at women online – those guys. This time GamerGate have been harassing Alexandria Neonakis, an artist over at Naughty Dog. This follows a spate of harassment aimed at another developer (also a woman, obviously) who was attacked over Mass Effect: Andromeda’s animations. It was so bad that BioWare had to release a statement. Basically, an entitled gaggle of goons are, once again, spoiling the image of videogame fans everywhere. Luckily, because the people being targeted are far better humans, the response to this harassment has been a positive one. 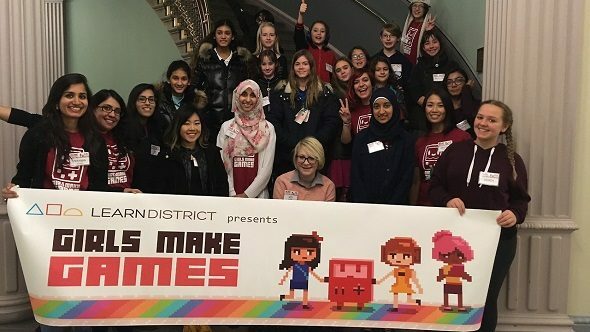 After sharing some awful screens showing the kind of abuse she was getting for daring to be a woman in the videogames industry, Neonakis decided she was going to donate to Girls Make Games, a charity organisation that hosts summer camps and workshops for women who want to get into the industry. Because of the skewed gender split – only 12% of the industry are women – it’s important that such a charity exists.